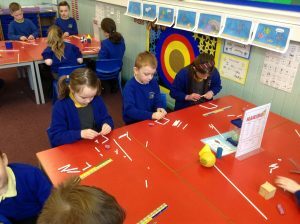 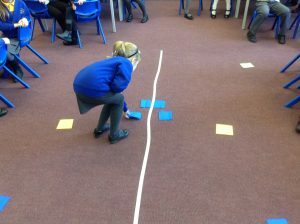 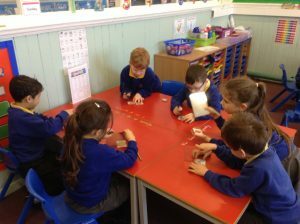 Year 2 have been investigating 2D and 3D shapes. 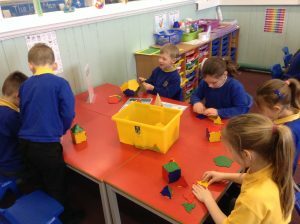 They have learned how to name and describe shapes using language such as sides, corners, edges, vertices and faces. 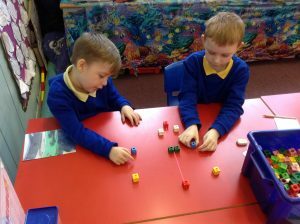 They have also learned how to find lines of symmetry and right angles as well learning about quarter and half turns in a clockwise and anti clockwise direction. 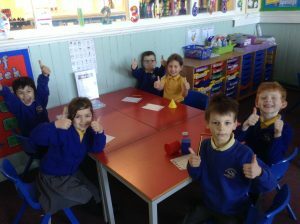 Finally they have used all of this knowledge to solve shape problems including shapes into different types of diagrams and some of the children have been choosing their own criteria. 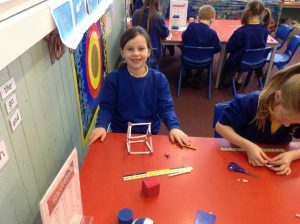 They have certainly become shape masters! 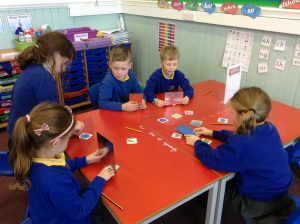 Finding lines of symmetry using mirrors. 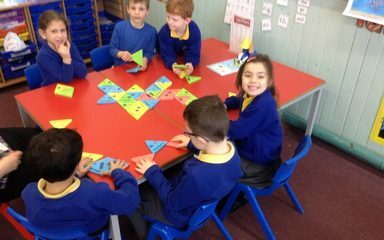 Sorting shapes with symmetry and shapes without. 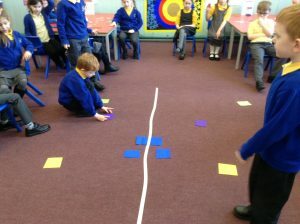 Creating a large scale symmetrical pattern. 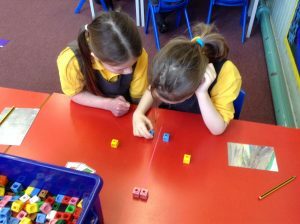 Working with a partner to make the pattern symmetrical. 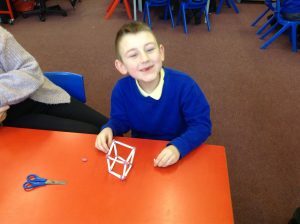 Investigating the properties of 3D shapes. 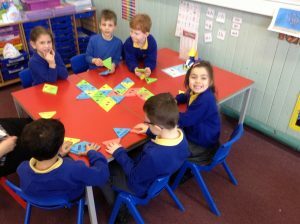 Applying knowledge of shapes to play a game of triangular bingo.